We would be happy to assist you in any way to complete your next building project. As a custom building company, we offer many services required to complete your custom home or other building requirements. We are a building company that covers a wide range of building designs and needs, but we specialize in custom home building, renovations and additions. Our focus is on energy efficiencies and we are certified installers for energy efficient ICF (Insulated Concrete Forms) building products, giving you an energy efficient building from foundation to roof. We also build light industrial and commercial projects. Our project coverage area is the Discovery Islands, but our focus is "Building a better Quadra Island". We are able to cover all your building needs, whether it is taking your project from inception to completion or portions in between. We also have many contacts for trades and trade specialist to complete those technical requirements. Our company history and philosophy and vision. Our Company was incorporated in 1978 and so we have many years experience in the building trade. We are a local company with our roots on Quadra Island. 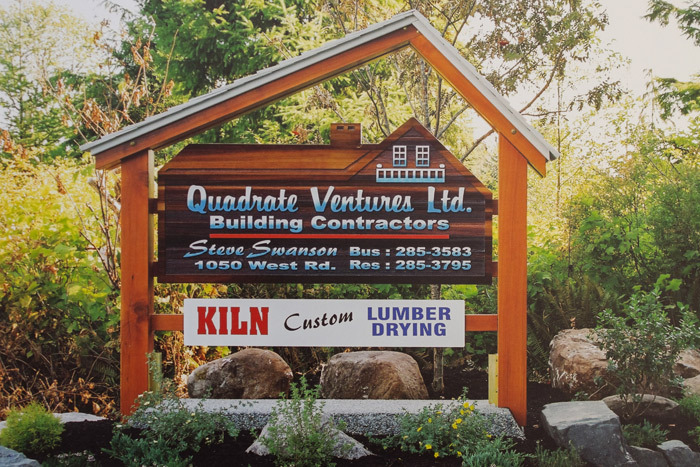 Quadrate Ventures Ltd. started with four partners and served mainly Quadra Island, thus the "Quad" in our name. Now two of the original shareholders, Richard and Steven Swanson manage and operate the company. We use as many local skilled trades as possible to complete projects and keep a sense of community pride in the process of building. We are committed to building the best quality for the most reasonable cost in order for you to get the best value and exceed your dreams for a new home project. We work together with you to create your dream home or other building projects. When decisions are required we work with you to make them, as we are all part of the same team. We strive for complete customer satisfaction in all aspects of our business. 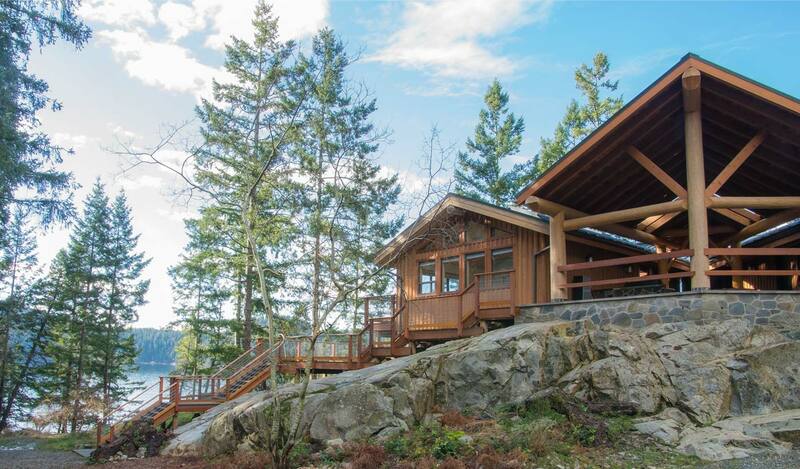 We are licensed residential builders in B.C. and are covered by National Home Warranty for third party liability. Another service we provide is custom lumber kiln drying. This gives you the opportunity to use the wood from your own property for finishing projects.